Home Marazzi Blog Allmarble, a sophisticated interpretation of fine marbles. Allmarble, a sophisticated interpretation of fine marbles. 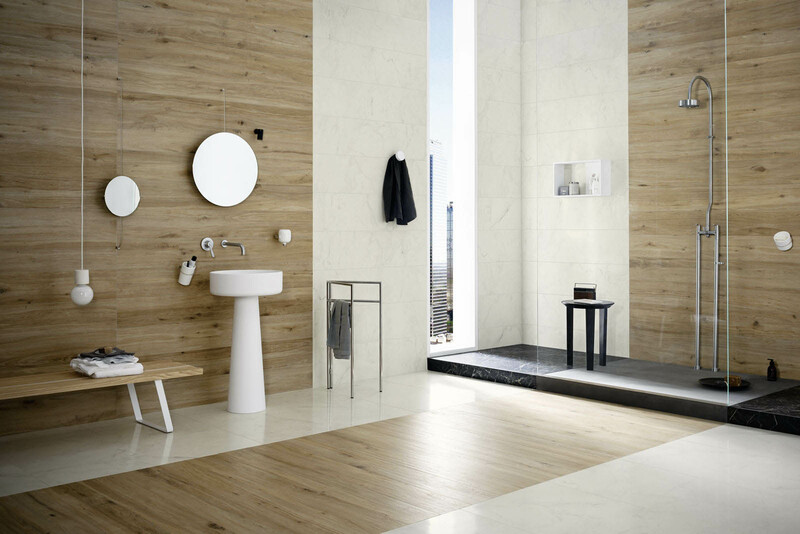 The new marble-look collection from Marazzi, in 7 different surfaces. Lasa, Statuario, Raffaello, Altissimo, Travertino, Saint Laurent and Frappuccino: inspiration from various kinds of exquisite marble for a stoneware collection with the perfect blend of beauty and state-of-the-art technology.The outcome of meticulous research and leading-edge production technologies, Allmarble comprises seven marble-look stonewaresin different sizes and finishes, designed to add valuable properties to the original material while maintaining all its amazing, eternal beauty. 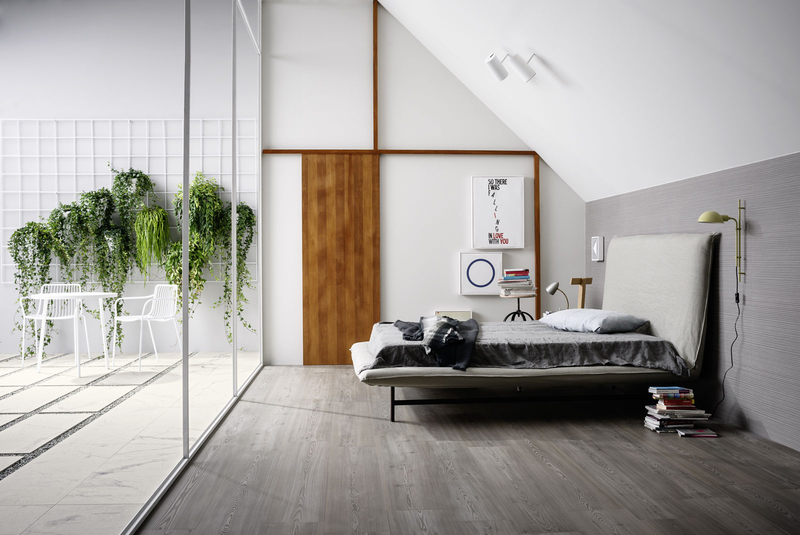 The wide choice of sizes (from60x120 to 7x28 cm), the various finishes (natural, lux and structured plus, for Allmarble Lasa, Statuario and Altissimo, the soft, satiny “silk” surface, which creates the effect of time-worn marble, its sharp edges blunted by use) provide the potential for a vast range of compositional options for installation on floorsand walls, indoors and outdoors. The 20 mm thickness for outdoors (Statuario and Travertino) further extends the collection, together with two-tone slabs, a hexagon, mosaics and 3D elements. The purity of the material, the use of subdued shades and the reproduction of details created by hand-working are the basis for contemporary spaceswhere the compositional effects and the mix of materials are crucial for the elegant decoration not only of all the rooms in the home, but also contract, hospitality, retail and wellness projects. The gallery contains photographs by Andrea Ferrari of the project by Stefania Vasques where the elegance of Allmarble is combined with Treverktrend rovere miele, Treverktrend larice cenere and Materika to become the protagonist of sophisticated residential and commercial interiors.